DFL-Data Dr. Pro is not one simple traditional high-speed data copy machine or hdd duplicator but it’s one specially and innovatively designed high-speed data recovery equipment for faulty hard drives with TB-level capacities such as 1TB, 1.5TB, 2TB, 3TB and even 4TB hard drives. It can be also used to recover USB interfaced external hard drives and USB flash drives. We’ve recently received a lot of feedback from data recovery engineers worldwide that they’re facing more and more TB-designed hard drives and the current data recovery tools or equipment they have cannot properly meet their needs. They often fail to give the lost data back in time. Many clients need data urgently and wish to get their data back in the same day. 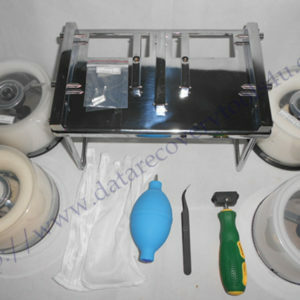 Besides, many clients are dealing with faulty drives, traditional or common data copy tools or hdd duplicators cannot handle faulty drives with bad sectors, unstable heads, common hdd failures, logical system errors or bad tracks, etc. In recent two years, we can find in our hard drive market different hard drive manufacturers are offering to us higher and higher capacity designed hard drives. Seagate is offering 3TB Barracuda Internal Hard Drive- SATA-III 3.5″ Hard Drive ST3000DM001, Es.3 4TB hard drives; Western Digital is offering Red 3TB – WD30EFRX, 4TB SATA 6Gb/s Internal Hard Drive-WD4001FAEX; Hitachi has Deskstar 5K4000 4 TB 3.5″ Hard Drive and Toshiba has 3TB SATA 6Gbps Internal Hard Drive, DT01ACA300 and more. DFL-Data Dr. Pro is the world’s first portable and high-speed professional USB3.0 data recovery equipment and it’s image speed can reach up to 7GB/min. It takes 2.5 hours to finish imaging one 1TB hard drive and 5 hours for 2TB hard drives and 7.5 hours for 3TB hard drives. DFL-Data Dr. Pro can be used to fix not only good hard drives but also faulty hard drives at a reasonable high speed. It’s necessary for used to learn the maximum speed cannot be all-time running all hard drives sectors with different health status, these sectors must be treated differently and automatically. DFL-Data Dr. Pro has three key modules: image module, file recovery module and common hdd repair module. 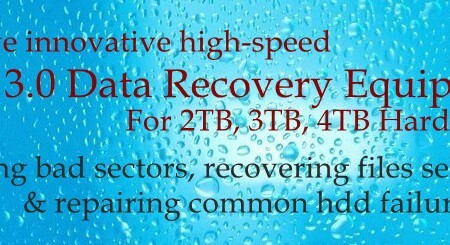 It helps users with fast solutions to Seagate, Samsung, Western Digital and Toshiba common failures. 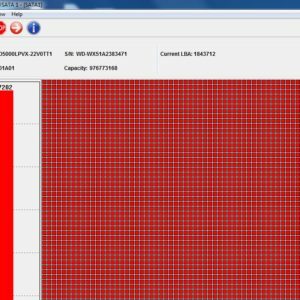 Users can simply use it to repair some undetected or busy hard drives and then use it successively to extract the data directly.When the partition table is damaged, users can also use it to recover data in the raw mode. DFL-Data Dr. Pro is one must-have high-speed data recovery equipment with the current new data recovery situation full of TB-designed hard drives.